There's news swirling out of Las Vegas, Nevada where the Federal Bureau of Investigation says they're charging an Iraqi refugee with making explosives devices. The FBI brought down the suspect as part of a sting investigation which spanned we several years. According to<a href="https://www.dailymail.co.uk/news/article-6335911/Iraqi-refugee-two-BOMBS-Las-Vegas-condo-caught-FBI-sting.html"> The Daily Mail</a> 30-year-old Ahmad Suhad Ahmad, an Iraqi refugee living in Tuscon, Arizona; <i>was actually training undercover FBI Agents</i> on how to make explosives. As an Iraqi refugee living in the greater Tucson area, Ahmad built at least two bombs in a Las Vegas condo. According to the Federal Bureau of Investigation, Ahmad met with federal agents several times prior to his arrest. The bombs he had built were intended to be used in a terrorist attack in Mexico that Ahmad was masterminding, according to the FBI. Ahmad Suhad Ahmad had bomb-making materials that were written in Arabic, arousing suspicions of terror ties. Authorities say, Ahmad, who was arrested last Friday, told the confidential source back in late 2016 that he was skilled with detonating explosives using cellphones. He claimed to use those skills during the war in Iraq. It remains unknown whether Ahmad’s presence in Iraq occurred during the war serving a hostile network of terror, or if it was the result of being an Iraqi citizen at the time. Ahmad is listed in court records as a US citizen. Ahmad is charged with Distributing Information relating to Explosives, Destructive Devices, and Weapons of Mass Destruction. He hasn’t yet entered a plea. Just three months after Ahmad claimed he could detonate bombs remotely, the confidential FBI source asked him how to make a car bomb for a target in Mexico and Ahmad agreed to assist, according to a criminal complaint filed in federal court in Tucson. Ahmad later emailed the confidential source homemade bomb instructions written in Arabic and listed some of the materials that were needed to build an explosive device, authorities said. The FBI says that Ahmad, a confidential source and two undercover FBI agents traveled from Tucson, Arizona in late April of 2017 to a condominium in Las Vegas. It was at that location where Ahmad created two bombs and showed one of the agents how to connect blasting caps to the explosive. He also trained them how to properly place C-4 plastic explosives. During that time, Ahmad brought a circuit tester, electrical tape, and epoxy to the meeting. Ahmad believed that the devices would be used in a car bomb when an unnamed “ranking member” of a Mexican drug-trafficking organization “was going to be in the United States to attend a sporting event,” an FBI special agent wrote. The FBI provided the other materials for making a bomb, investigators said in court documents. Shockingly, after his initial arrest, Ahmad was released from custody. Assistant Federal Public Defender Walter Goncalves argued that the bomb-making allegations against Ahmad were “serious,” but “there is absolutely no danger at all” if Ahmad were released. 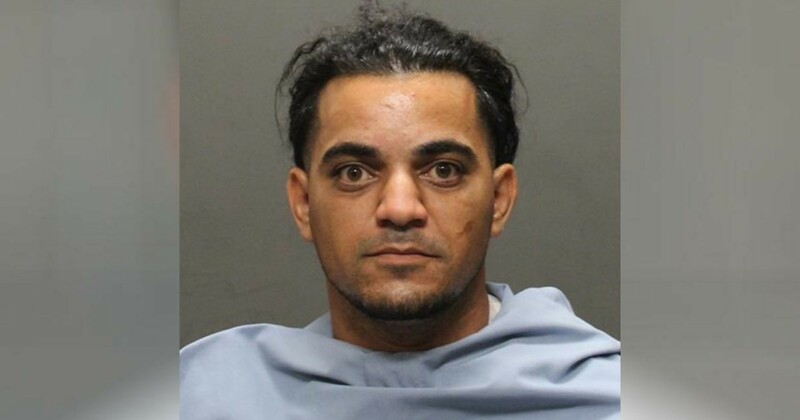 Ahmad was arrested again in Tucson on suspicion of distributing information related to explosives, destructive devices and weapons of mass destruction, according to an October 26tn complaint. New allegations included a federal charge for conspiring to sell 150 grams of heroin. Ahmad will now remain in the custody of the US Marshals, while US Magistrate Judge Eric J. Markovich considers new arguments. Federal prosecutor Kevin Hakala has since asked Judge Markovich to keep Ahmad in custody. Ahmad has allegedly threatened to kill an FBI source if anything happened to Ahmad’s family. Hakala also said Ahmad’s “extensive foreign familial ties” made him a flight risk, and that Ahmad previously violated his probation on drug-related state charges. The US Attorney’s office the FBI declined to answer any additional questions on the explosive and possible terror case. The danger from radical terrorist still poses a major threat to the United States of America, and neighbors of the US. So they let him continue to make and store bombs in his condo, putting everyone else who lived there at risk? Nice. LOL! that's what i was thinking. if i were a condo neighbor i'd consider a lawsuit against the cops for reckless endangerment.